YOUR ON-AIR CONTROL CENTER TOOLS. A challenge for broadcasters in today’s competitive media landscape is doing more with less. Our template-based asset management solution accelerates newsroom productivity and replaces numerous tools with a single, unified workflow. 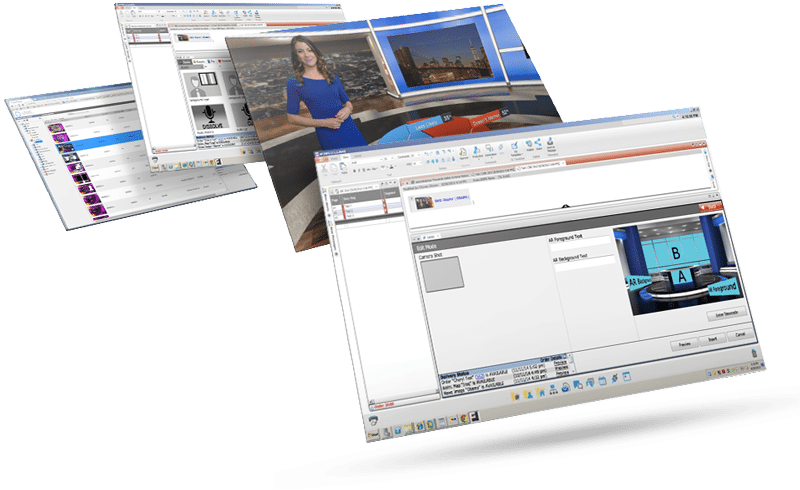 Our holistic, end-to-end news content creation, production, and playout solutions are scalable and intuitive. Our powerful software solutions are easily driven by new or experienced producers, using a streamlined, template-based workflow to create compelling live video content, with the fastest concept-to-air in the industry. Your on-air graphics control center. 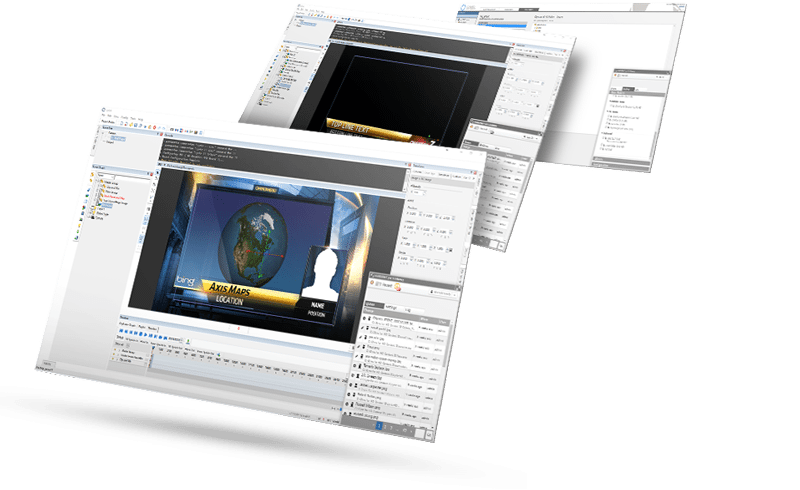 CAMIO Universe is a news producer-driven, template-based workflow for a unified, end-to-end content creation, production, and playout solution. 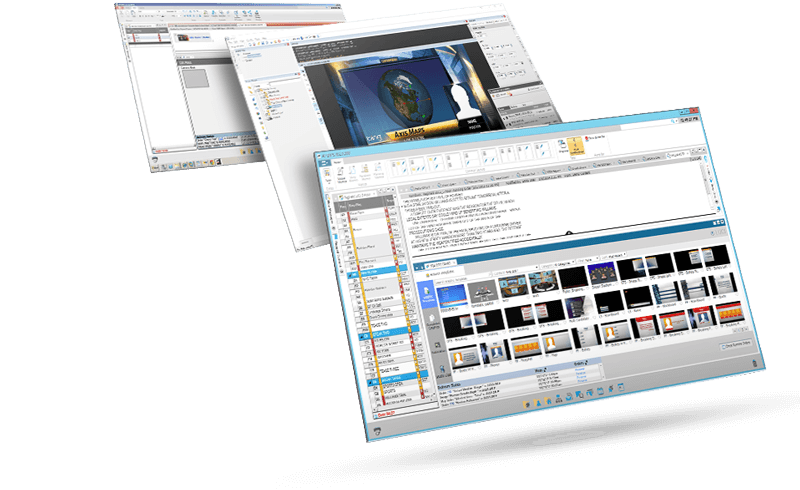 In the CAMIO Universe, artists set the visual brand for consistent and correct content, producers create stories that include broadcast graphics, weather graphics, social media sources, virtual studios, and augmented graphics, and directors build, order, and control all camera, switcher, audio, virtual set, and graphic cues – all from within a single, unified tool. Same content – many devices. Streamline your workflow with this folder synchronization system across your entire organization. Push and pull content from a central server by subscribed client devices.  LUCI is our producer gateway into our clear and efficient workflow that features a Web-friendly HTML5 CAMIO interface. It is at the vanguard of the ChyronHego mission to bring advanced technology to the newsroom wrapped in a fast and easy user experience. LUCI has an easy to understand user interface that minimizes the learning curve and puts content at your fingertips. 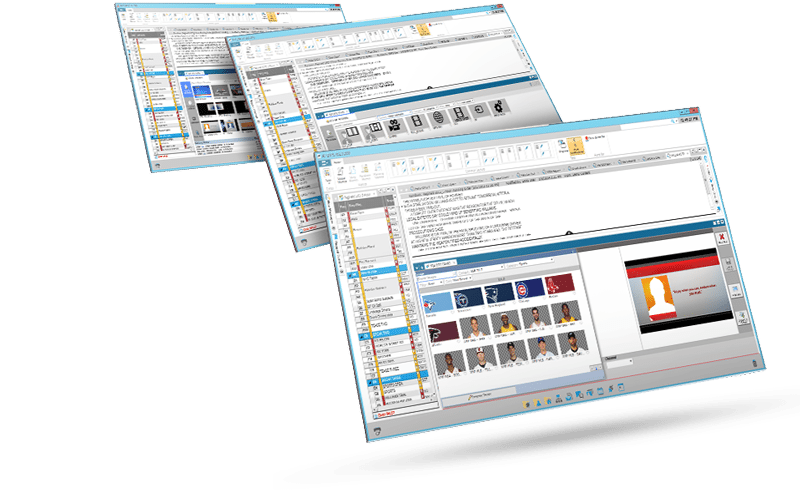 Centralized Playout Control. 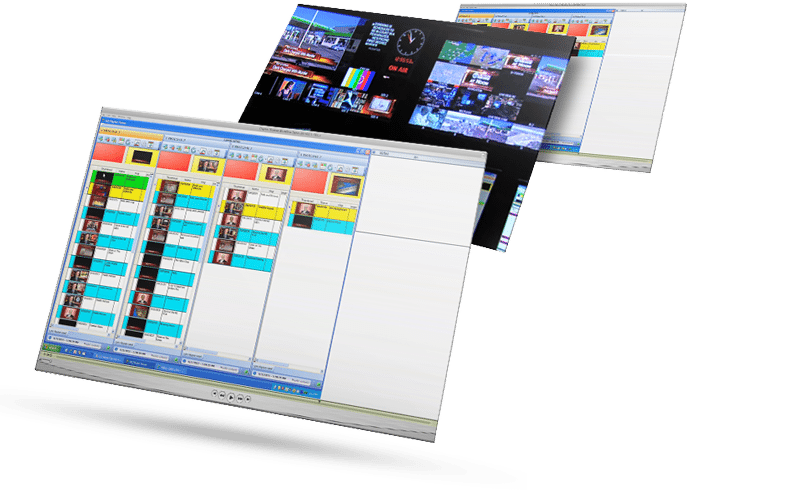 In today’s fast-paced broadcast environment, simplified playout operation is critical. Our Intelligent Sequencer, iSQ, allows a single user to connect to a CAMIO server and control multiple Lyric playout or PowerClips channels from a single work surface. As a single point of control, iSQ’s flexible architecture enables the consolidation of multiple independent channels represented as individual playlists. 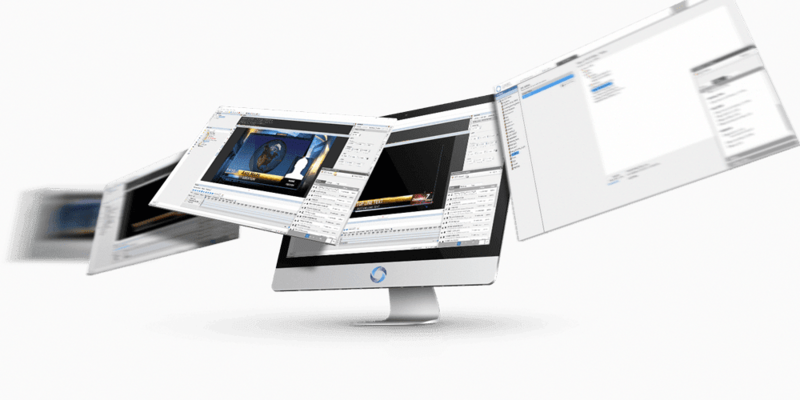 CAMIO Render Engine supports our graphics and playout solutions, including Lyric, PRIME, Neon, Plutonium, and Metacast and extends your graphics creation capabilities into a wide range of editing, social publishing and streaming applications.